Maybe we’re a bit biased, but everywhere we go we see exciting momentum building toward making caregiving easier and better supporting the caregiver community. 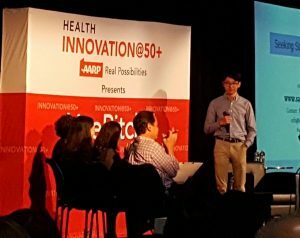 This week, we had the opportunity to attend the AARP 2016 Health Innovation@50+ event held in the San Francisco Bay Area — an entire day dedicated to creating awareness, raising involvement, and highlighting startup solutions for caregivers. The day brought together entrepreneurs, investors, industry experts, and most importantly, caregivers themselves, kicking off with dynamic opening comments from emcees Alexandra Drane (@adrane) and Lisa Suennan (@VentureValkyrie). Particularly compelling was a fireside chat (plus rain and minus fire) with Alexandra Drane and Nancy LeaMond, AARP Chief Advocacy & Engagement Officer (@NancyLeaMond) and a “serial” family caregiver. Calling upon all stakeholders and sectors to come together as a team and get involved, she observed that “the home is the new healthcare institution, and it’s time to start treating it that way.” Commenting on technology adoption, she pointed out that it’s family caregivers who will be hugely important to offering the education needed for designing — and acceptance of — solutions in this growing market. The second half of the day featured the LivePitch event, with 10 inspired entrepreneurs presenting their solutions to a panel of VC’s as well as an audience of consumers. We appreciated the sheer energy and commitment of all the finalists, many motivated by their own experience as caregivers. One standout example: Kenneth Shinozuka, the 17 year-old CEO of SensaRX who developed SafeWander to keep his grandfather with dementia safe. The pitches covered a breadth of innovative solutions, addressing challenges from managing in-home caregivers (WellBeyondCare), medical records (Picnic Health) to end-of-life resources (Cake). 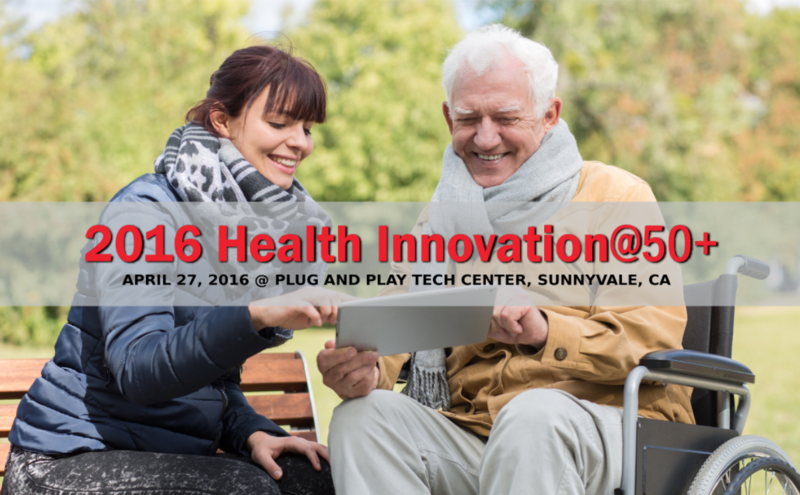 Kudos to the winning teams, audience choice SingFit and judges’ choice Penrose Health! There is so much work to be done, but if this week’s event was any indication, we are well on the way. A huge thank you to the AARP team and all the presenters and participants – we wish we could spotlight you all here! Lucky for us, you can catch the full video, and an active #Health50 conversation on Twitter.